Click on the tabs below for news and results from competitions taking place throughout the season, as well as other news items from the TOWA! Coming Up This Weekend - Lincoln TOWC Open Competition and Guildford Easter Monday Competition! All teams, supporters and spectators are welcome along to both events, and teams can even take part at both events if they wish to do so! Please contact the event organisers for further details and to confirm your club’s attendance. All other fixtures for 2019 are available on the fixtures page of this web site, so make sure you check out the fixture list for future events and go along and support the events near to you! 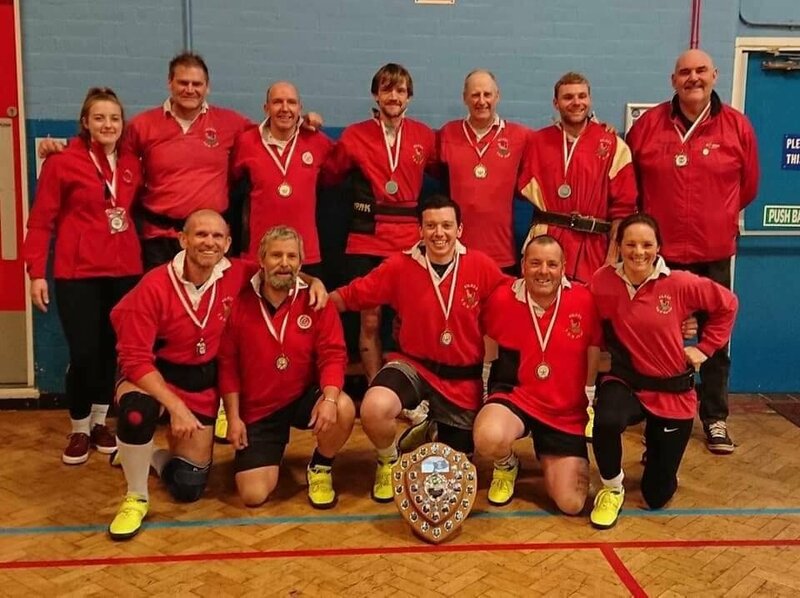 Click here to read about everything that happened at the 2019 East of England Open Championships at the weekend and which teams won the various weight categories on the day! 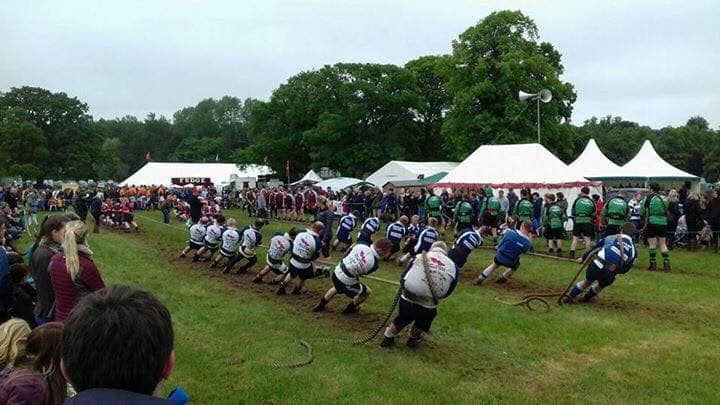 Take Part in the National Tug of War Championships at Cumberland Show, Carlisle on Saturday 15 June 2019! 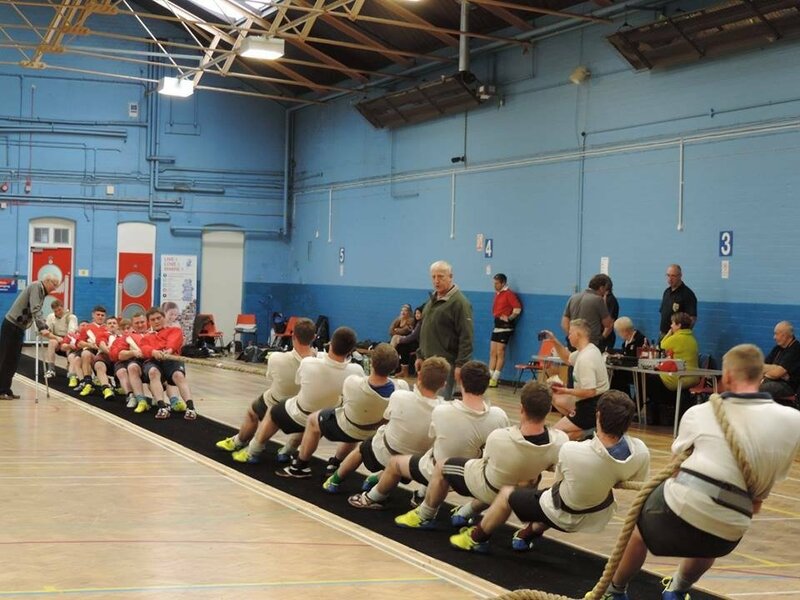 On Saturday 15 June, the national tug of war championships take place at Cumberland Show with weight classes for mens, ladies, mixed, under 23 and junior teams. There are no pre-qualification events and all member clubs (full members and associate members) of the TOWA can take part. 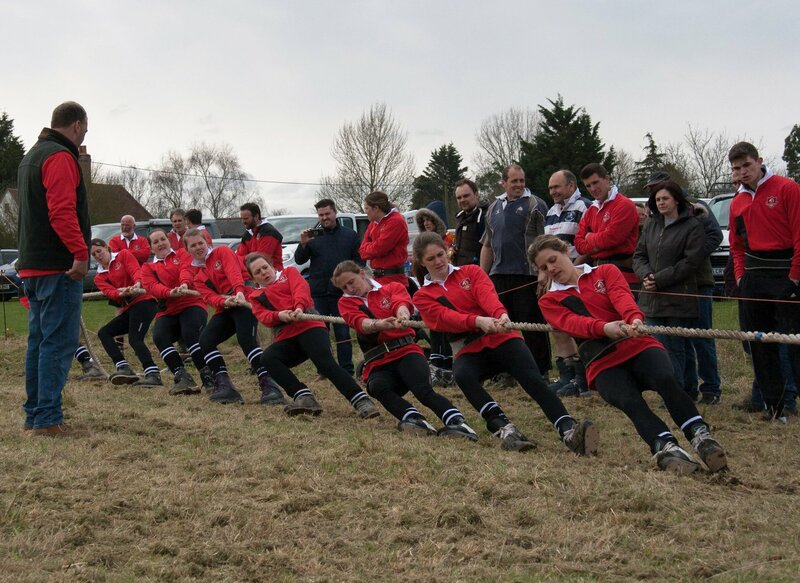 If your club is not yet a member of the TOWA but would like to take part, then as long as you join the TOWA and register your team members by 15 May 2019, then your team will be eligible to compete - so if you are a military, cadet, YFC or other new tug of war club, then don’t delay - get your club signed up! Please visit the National Championships page of our web site for further details and don’t hesitate to contact us if you have any questions! All teams are kindly asked to note that there are a number of events that are taking place at various shows and public events around the country during 2019. These events are great opportunities to showcase our sport to a large audience and all teams are encouraged to support these events as much as possible. Please click here for more details about how to take part at various shows around the country and the deadlines for obtaining entry passes and confirming your attendance. Please note that due to circumstances beyond the control of the organisers, Thames Valley have regrettably had to cancel their event taking place on Sunday 28 April. There is still another fixture taking place on that date at Sheen in the Peak District. Please see the fixtures page for more details. Click here to read about everything that happened at Bosley TOWC's annual open competition at the weekend and which teams won the various weight categories on the day. It was another well attended event this weekend! Please note that the venue for the 2019 AAA Outdoor Championships, held in conjunction with the TOWA Midland Area Championships has changed and will now be held at Alcester Rugby Club. Birmingham Road, King's Coughton, Warwickshire, B49 5QF. All other details remain the same. Please visit the fixtures page for further details. Reminder: The deadline for puller registrations for the AAA Championships is Friday 12 April 2019. Please do not leave it until the last minute to register your pullers. Otherwise, you can continue to register your pullers for the TOWA National Championships which take place in June until Wednesday 15 May 2019. Puller registration forms are available on the National Championships page of this web site. 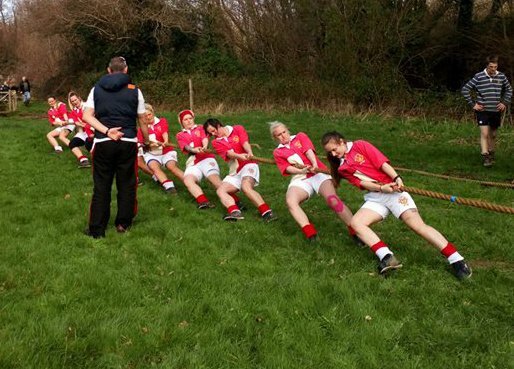 This Sunday Essex Tug of War / Essex YFC held a tug of war day which was well attended by a mix of TOWA and YFC teams, and it was pleasing to see a good number of ladies teams in attendance. Click here for the results from the day! 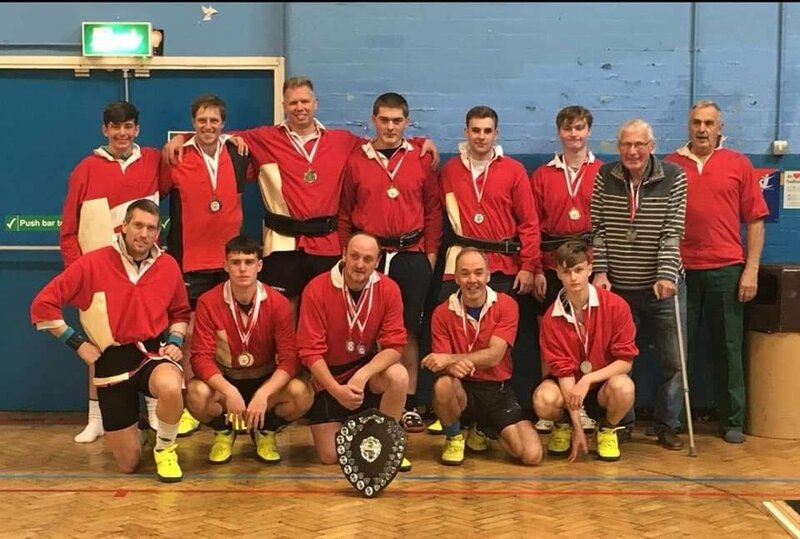 Click here to read more about what went on and who won what weight classes at the Dorset Training League held at Marshwood, Dorset over the weekend! Congratulations to Mick Grimston, Heather Grimston, Terry Spoore and Vic Ludkin who received the TOWA Award of Merit at the 2019 TOWA AGM. Click here to read more. Please click the image below to watch a documentary about tug of war and the Tug of War Association made during the 1970's. It is a fascinating watch! If any pullers representing England at the forthcoming British and Irish Indoor Tug of War Championships in Scotland in February require any new/additional England kit, then please contact John Gracie as soon as possible with your requirements / sizes. To find out how you can take part in the GENSB 2019 Tournament, which takes place in Folkestone, Kent on the August Bank Holiday weekend, then please visit the GENSB 2019 Page of this web site! All teams are encouraged to take part, including established TOWA Clubs, military, cadet and young farmers teams. If you have any questions about this event, then please do not hesitate to contact us! 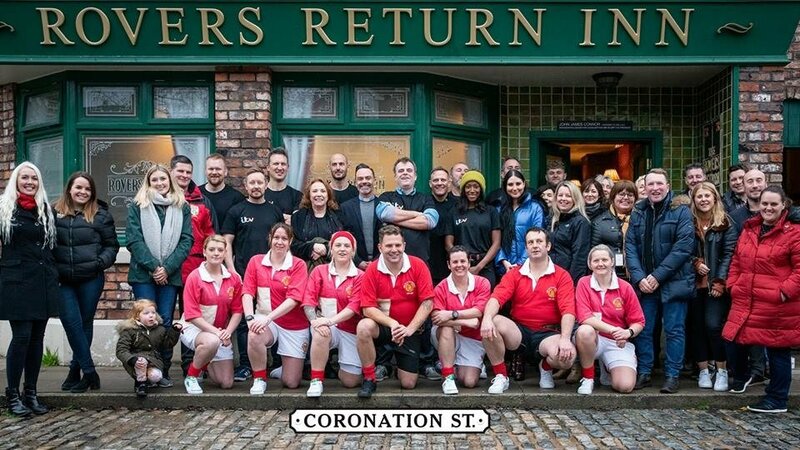 Cast and Crew from Coronation Street take on Army Tug of War Team! On Thursday 6 December the Army Tug of War Team graced the famous coblles of Coronation Street in Manchester to take part in a tug of war match for a special compilation programme of messages from military families to their loved ones back home and overseas. Click here to read more and see some photos and videos! 01/12/2018 - 2018 National Indoor Tug of War Championships Results! Click here for a report, photos and videos from the 2018 National Indoor Tug of War Championships held at the Harry Mitchell Leisure Centre in Smethwick, West Midlands on 1 December 2018! There are still some British and Irish Championship polo shirts and t-shirts left over which are available for purchase at a reduced price (limited stock available). Postage and packaging is £4 per item. Tug Lawson's Funeral will take place on Friday 21 December at 11:00. There should be ample car parking, but if not, attendees are requested not to park on the road side but use the Garden Centre car park opposite the crematorium. Tug left instructions for no flowers but instructed that any donation be given to the RA Charitable Fund. A collection box is to be made available at the crematorium on the day. It is requested that all serving and retired service personnel are to wear their Regimental Tie. TOWA Blazer and Tie is requested to be worn by non-service members of the TOWA if you have one. 2018 World Outdoor Tug of War Championships - Video Highlights! Click the video below to watch a highlight program from the 2018 World Outdoor Tug of War Championships held in Cape Town, South Africa in September, featuring all of the medal pulls from the closed international competition and interviews with organisers, coaches and pullers. 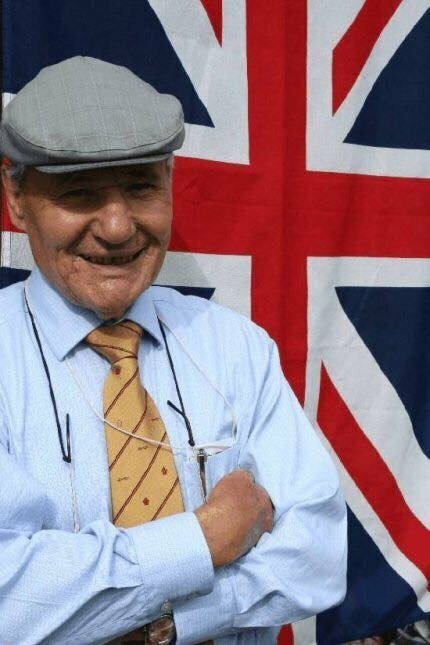 The Tug of War Association is saddened to learn of the passing of Lieutenant Colonel (Retd) Cecil John Lawson, known to most of us as "Tug" this afternoon. Tug was well know in both the TOWA circuit and of course the military circuit, bringing many teams through over the years at both senior and junior level and actively encouraging new recruits to get involved. Tug has previously served on the TOWA general committee, served as TOWA president and was also a TOWA Award of Merit holder. In 2014, Tug was awarded with the British Empire Medal in the Queen's Birthday Honours List today for voluntary service to the Army Cadet Force. 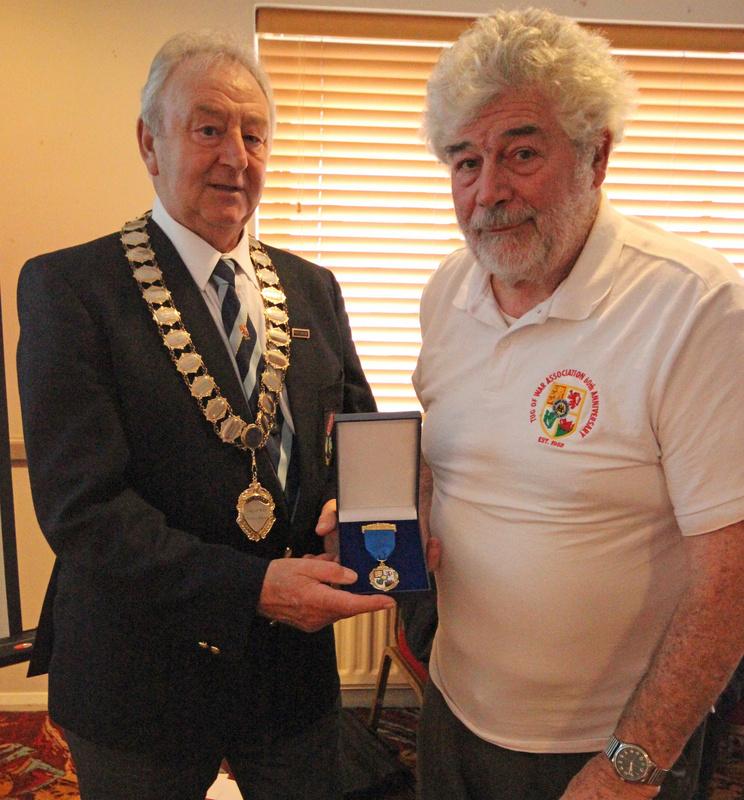 Tug had been part of the Leicestershire, Northamptonshire and Rutland ACF for many years, and was instrumental in promoting tug of war within the ACF. Tug of war is now a fully recognised sport within the ACF, with county, regional and national tug of war competitions taking place every year. Many ACF clubs are now taking part in TOWA youth competitions, with many also taking part in GENSB competitions, with some ACF clubs also going on to represent England at youth level. Thank you Tug for everything that you have done for our sport. A true gentleman in every sense of the word who will be greatly missed. Great effort from everyone who continues to support indoor tug of war! The TOWA is in the process of putting together the fixture list for 2019 which will be discussed at the General Committee meeting to be held in November. 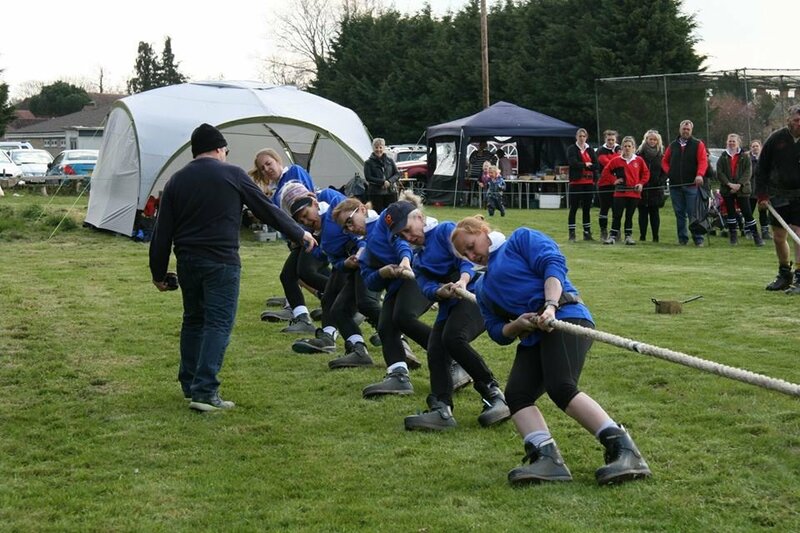 If you are a club or event organiser and are looking to organise a tug of war competition during 2019 (including any training leagues, YFC competitions, shows, etc), then you need to apply for your permits by Mid November (17 November 2018). The cost of a permit is £20. To apply to hold an event, please complete the permit application form and return it to the TOWA secretary Mick Copper along with the permit fee using the details provided on the form. If your date is flexible, then please provide any potential alternative dates with your application in the event that there is a clash with another nearby event. If you wish to host the AAA championships (any event prior to the national championships in June), Inter County Championships (any event after the June national championships) or League Finals (first week of September or slightly earlier date during late August depending upon the date of the European Championships in September) at your event, then please provide a covering letter applying to hold such an event. Where more than one venue applies to hold such an event, then a decision will be made by the committee by way of majority vote based upon the information provided about the suitability of the venue. Organisers are also reminded that when organising a tug of war event, it is your own responsibility to invite officials and such invitations should be sent at the earliest opportunity and not at the last minute. In advance of receiving expected questions on the national championships venue, the venue for the championships will be voted on in November. Otherwise, the national championships takes place on the third Saturday of June. We are always looking for venues to host future national championships in the coming years, so if you wish to put a venue forward (ideally at a show or other public venue/event with weigh in facilities nearby), then please contact the Championships Secretary Mick Grimston (mickgrimston@gmail.com) to discuss further what is required. Otherwise, if you have any other general queries about competition fixtures / hosting an event, then please contact the TOWA Secretary Mick Copper - mick.copper@tiscali.co.uk. The permit application form to apply to host an event is available to download below. If you intend to hold an event in 2019, then please download, complete and return the form to the TOWA Secretary as soon as possible. 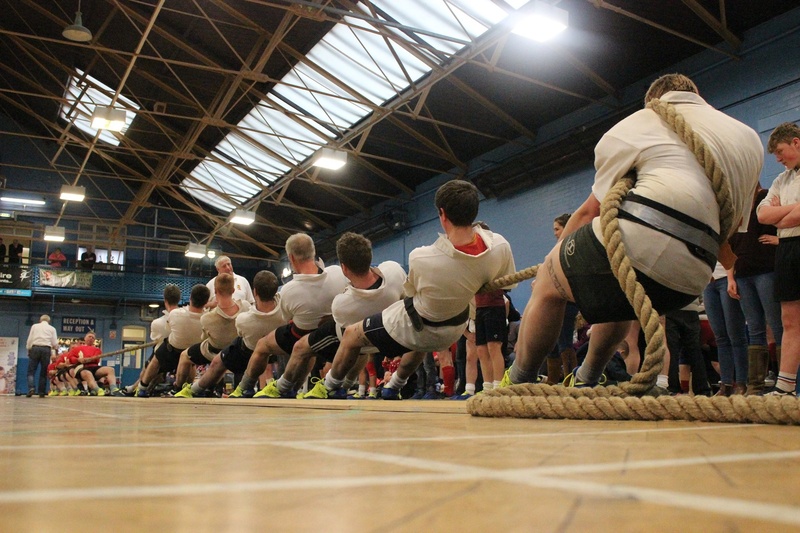 Click here to read more about the first weekend of indoor tug of war competition! 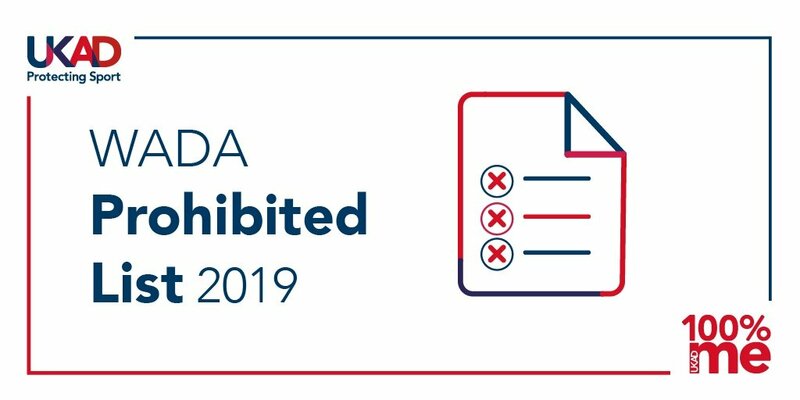 The World Anti-Doping Agency (WADA) has published the 2019 List of Prohibited Substances and Methods, and The Tug of War Association wants to ensure you know all the key details before it comes into effect on 1 January. Whether you’re a puller, coach, parent, physio, doctor or S&C coach, it’s vital you are aware of the changes, so you don’t get caught out and end up with a ban from sport. The List outlines substances and methods which are banned both in and out-of-competition, but it is not exhaustive as most categories only include common examples. It’s updated every October, giving you time to get to grips with any changes before the New Year, but please also be aware that changes can also be made to the Prohibited List throughout the year. Several of the changes relate to supplements, or ingredients commonly found within them, while there is also more information around gene doping and examples of certain substances being known by a different name. More details can be found on the UK Anti-Doping (UKAD) website, so please take the time to have a read through to ensure you don’t get caught out. The Kessingland Autumn Tug of War Weekend celebrated its 40th Anniversary this year and the organisers are very grateful that pullers are still turning out for the weekend, enabling them to keep the competition going. This included two new teams to the event. Next year the Kessingland event is being held over the weekend of 12th and 13th October 2019 and the organisers look forward to seeing everybody once again! Coming Soon - Indoor Tug of War! The indoor season is run as a league. Annual team trophies (donated by Len Hall) are awarded for each weight class at the final indoor competition before the national championships for the teams that have accumulated the most points over the course of the season in each weight class. This season will include new 6 a side weight classes at 480kg and 510kg for men. Ladies/junior 6 a side weights will be confirmed shortly. As per the ruling voted in at the 2018 AGM, This year, there will be a 6 a side weight class held at each indoor event (open competitions only). Teams may weigh into these weight classes with 6 pullers or 5 pullers, as with normal 8 a side competitions where teams can weigh in with 7 pullers. This weight class is a great opportunity for teams who have never done indoor tug of war before, or for teams with small squads to come along and take part. It is also ideal for outdoor teams looking to keep fit over the winter to come along and have a go. All you need is your normal tug of war kit and flat soft sole trainers instead of boots. Multiple teams can be entered into the 6 a side weight classes if your clubs have sufficient numbers in attendance, and teams can also borrow pullers to make extra teams. Please note that in order to encourage new teams to take part on the indoor circuit that for the 6 a side weight classes, the TOWA committee has resolved to only permit unmodified, shop bought shoes for the 6 a side weight categories. Please note also that the 6 a side weight classes will not count towards the criteria for qualifying to represent England for those teams looking to qualify to represent England at the British and Irish Championships. If teams attend an indoor event with 5 pullers to compete in the 6 a side weight class, and wish for the event to count towards the qualification criteria for representing England, then they may borrow two pullers to compete in an 8 a side weight class with 7 pullers as a maximum of two pullers may be borrowed to be eligible to meet the criteria, with our rules allowing for teams to compete with 7 pullers in open competitions. Entry to the hall each week is £2 per person (which includes raffle tickets) to help cover the costs of hall hire. In advance of the first competitions, teams are asked to contact the TOWA secretary to confirm attendance and approximate number of weight classes that you think your team is likely to enter so that appropriate planning can take place in advance of the event to ensure that the hall is booked for the appropriate length of time. The list of open competition fixtures prior to the national indoor championships are available on the fixtures page. Please note that the weigh in time for each competition is 9am, with competitions starting at 10am. We are looking forward to another good indoor tug of war season! 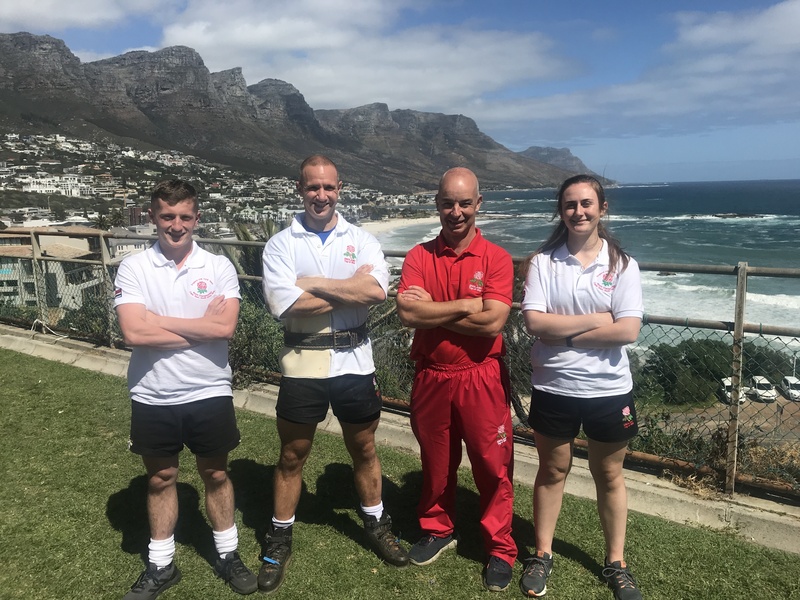 4 members of the Royal Corps of Signals recently traveled to South Africa as part of the England Tug of War Squad to take part in the World Tug of War Championships. Warrant Officer Class One Brian Mclean is a member of 11th (Royal School of Signals ) Signal Regiment and has been involved with military Tug of War for almost 23 years. He is key to the development of the sport within the Army as he introduces young junior soldiers to the sport whilst they are in training. He traveled to South Africa in an assistant coach capacity and gained valuable experience of youth Tug of War at International level which will aid with the development of the young soldiers he has under his command. In addition to Brian, 3 other members of the Royal Corps of Signals recently traveled to South Africa as part of the England Tug of War Squad to take part in the World Tug of War Championships. Warrant Officer Class Two Jon Perks traveled over as part of his civilian club Felton Eccles who he competed for in the open competition before competing in the closed competition for England, winning a bronze medal in the 680kg weight category. Signaller Nial Lewis and Signaller Elise Kalaher are Phase 2 trainee soldiers who are currently completing their trade training after joining the Army in the past year. While pulling for 11th (Royal School of Signals) Signal Regiment this season on the Army circuit they both caught the eye of the England Junior team manager and were selected to represent England Juniors in South Africa and also competed in the open competition for Team ACF. Congratulations to the above. A number of military teams and personnel have competed on the TOWA circuit over a great number of years and continue to do so. 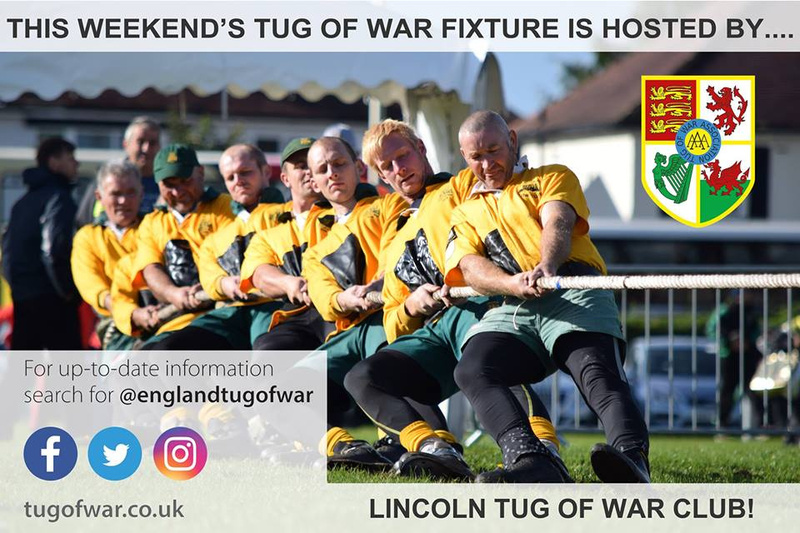 Many civilian clubs also take on military pullers after they have left the service, so if you are an ex-member of a forces tug of war team and want to remain involved in the sport, then please contact us to find a tug of war club near to you! 13/09/2018 - GENSB 2019 Coming to England! On the weekend of 23-25 August, the Tug of War Association has the honour of hosting the 2019 GENSB youth international club tournament. This is an open competition and is open to ALL junior teams (male, female or mixed). There are no pre-qualification competitions and any club can take part. Please visit the GENSB 2019 page for further details about how to take part. 29/08/2018 - Welcome to our new web site! We have begun the process of revamping our web site to make it compatible with mobile and tablet devices. We are still in the process of migrating data and information from our old web site to the new web site, so please bear with us whilst this transition takes place. It is with regret that the Midland Area TOWA have had to cancel the above event, due to teams not informing the organisers whether or not they were going to attend the event. 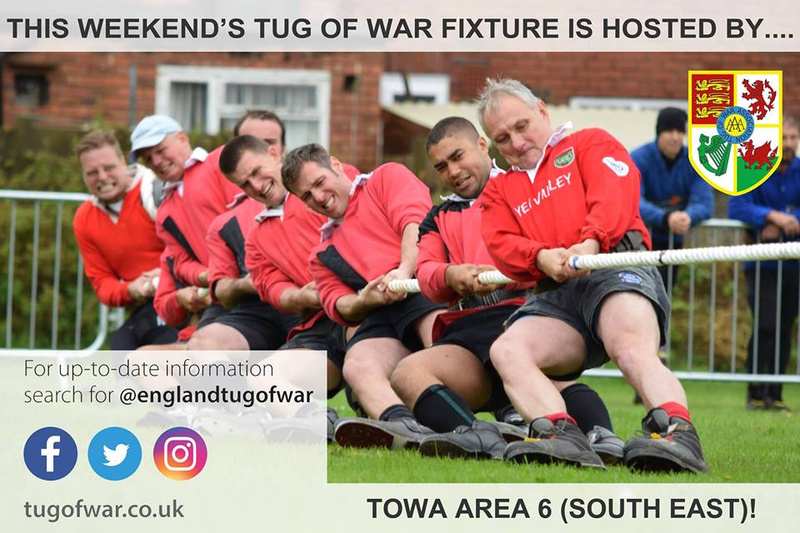 Going forward, the Tug of War Association would like to remind teams that you should contact event organisers in advance of an event to confirm whether or not you are going to attend. A lot of organisation, time and expenditure is required to put on events, so co-operation with event organisers by all teams from this point forward would be appreciated. Thank you. Please visit the International News page for a report from this years GENSB Junior International Competition. England will be hosting this event on the August 2019 Bank Holiday weekend - watch this space for further details! Visit the International News Page for a round up of a great weekend of tug of war. We would like to take this opportunity to thank everyone who helped to make this a success - from those who organised the event from the outset, all of the volunteers, Wyboston Lakes, all of the teams, all of the officials and all of the supporters. We had a great time! Here's to the next 60 years and beyond!